Dimitri Lordtkipanidze - coalition "Nino Burjanadze – United Opposition"
Dimitri Lordtkipanidze was born on October 10 of 1967 in Tbilisi. He graduated 60th public school and school of experimental music. In 1985-92 he studies in Georgian Technical University, faculty of Hydromechanics. In 1993-98 he studied in Tbilisi Humanitarian-Economic University, faculty of law. Since 1989 is the member of Green’s movement. In 1992-98 he was the inspector of HR department of the Ministry of Information and Intelligence Service. - Police Chief Inspector of the Ministry of Internal Affairs. In 1999 he was the chairman of p/u Union of Georgian Citizens regional organization. 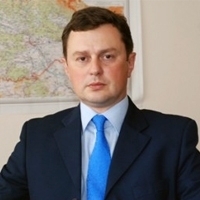 In 2002-2006 he was Vake region of Georgia Barrister Association - Vake District Attorney. - National Strategy for University Research Center - Research Fellow. Since 2006 he has been a member of the Georgia Barrister Association. In 2006 the founder and chairman of the political council of Georgia’s way. -Human Rights and Civil Integration Committee deputy chairman. -Deputy Chairman of the Committee on Environment and Natural Resources. - A member of the parliamentary commission studying aggression from Russia. -Standing committee member on condition of parole. - Member of the Commission for the Control Chamber. -2009-2012 Years the Public Defender’s candidate.